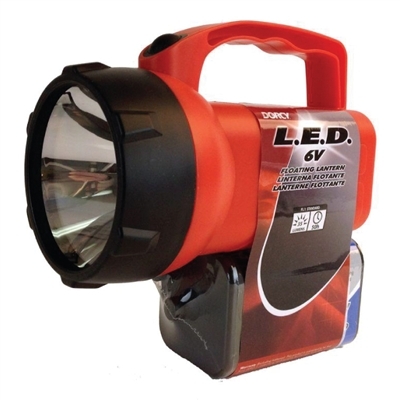 This LED Lantern style flashlight provides excellent spot illumination and makes a great addition to your office or home emergency kit. Features heavy duty plastic construction and an innovative waterproof and floating design. • Easy to operate push button switch. • Colors may vary: yellow, red, blue.